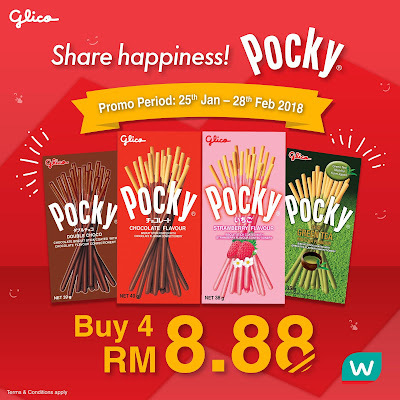 Buy 4 packs of Pocky stick biscuits at a special price of RM8.88 (Huat Huat Huat)! Share the happiness of Pocky stick biscuit with your families and friends during this Chinese New Year. Enjoy & share the love! *Terms and Conditions apply. Only at selected Watsons stores listed below.